This Lovely Home has a Wonderful Great Room Concept w/4 Bedrooms and 2 Full Baths Upstairs and an In-Law or Guest Quarters w/Full Bath, Kitchen, Fireplace, Bedroom Area & Living Room Downstairs!! This Home Features Tile Floors Throughout, Laminate in Bedrooms, Spacious Updated Kitchen w/Corian Counters, Gas Stove Top, Built-In Oven & Micro, Easy Close Cabinets, Cozy Fireplace, Dual Pane Windows Throughout, Ceiling Fans, Plantation Shades, Recessed Lighting, Fresh Updated Paint, Master Bedroom has Jetted Tub, Separate Shower Stall, Fabulous Counter Space, Backyard has Covered Patio, Beautiful Pool w/Waterfall, a Secondary Deck w/Tree for Fabulous Shade during the Summer. 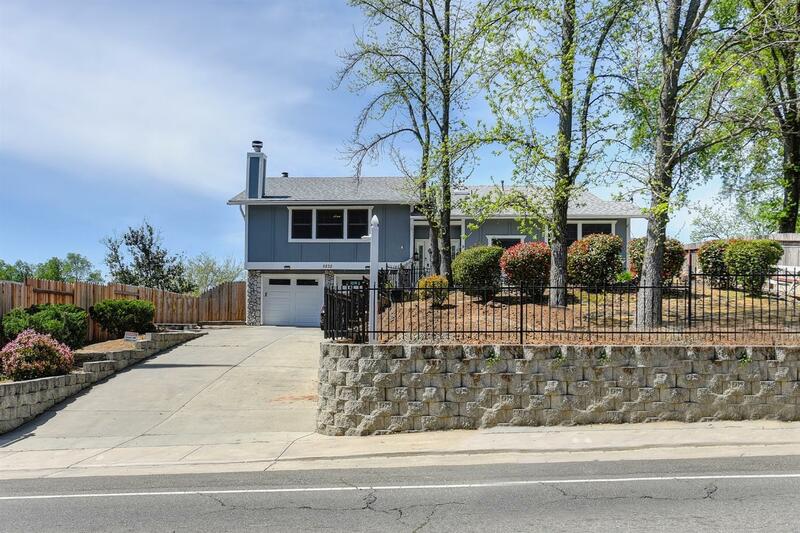 This Home is Ready for Summer Fun and Close to Shopping, Schools and Freeway Access.